J & A Construction NJ Inc has been remodeling Guttenberg, New Jersey kitchens for 3 years. 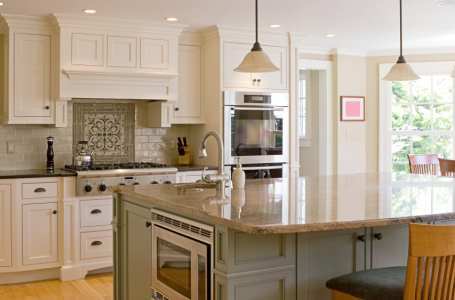 From small makeovers to complete kitchen design and remodeling, J & A Construction NJ Inc's experienced renovation team can turn your kitchen into your families favorite room in the house. The right cabinets make all the difference when it comes to storage. J & A Construction NJ Inc can help you select cabinets that offer more functionality to make the most of your Guttenberg kitchen area. Whether your goal is to utilize your existing space or to expand your kitchen area, J & A Construction NJ Inc will design and build a kitchen that works hard and looks great. We've been renovating Guttenberg, New Jersey kitchens since 2016. Update plumbing and electrical, including proper venting, to meet New Jersey code. J & A Construction NJ Inc has certified plumbers and electricians to ensure that your kitchen is safe and up to code. J & A Construction NJ Inc has 3 years of experience updating kitchens in Guttenberg, New Jersey. Your family may never want to eat out again.